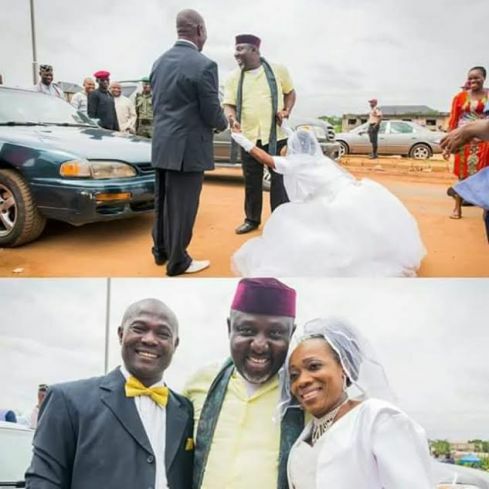 A Nigerian bride has become talk of the internet because of her shocking reaction after Imo state governor stopped his convoy to pose for a photo with them in Imo state on Saturday. The Governor, who was on inspection tour of the state, handed cash gifts to the couple. 0 Response to " Here’s Why This Nigerian Bride is Trending Online"